trends | Vim & Vintage - design. life. style. I didn’t realize just how much I love feathers… until the other day. I was on a run on Saturday morning and I saw one resting on the concrete. Simple and gray, it may have been run over countless times, but it was still as perfect as ever. I love the spiritual, natural, carefree vibe they give off. Drooling over this shop in Amsterdam called Harvest & Company! 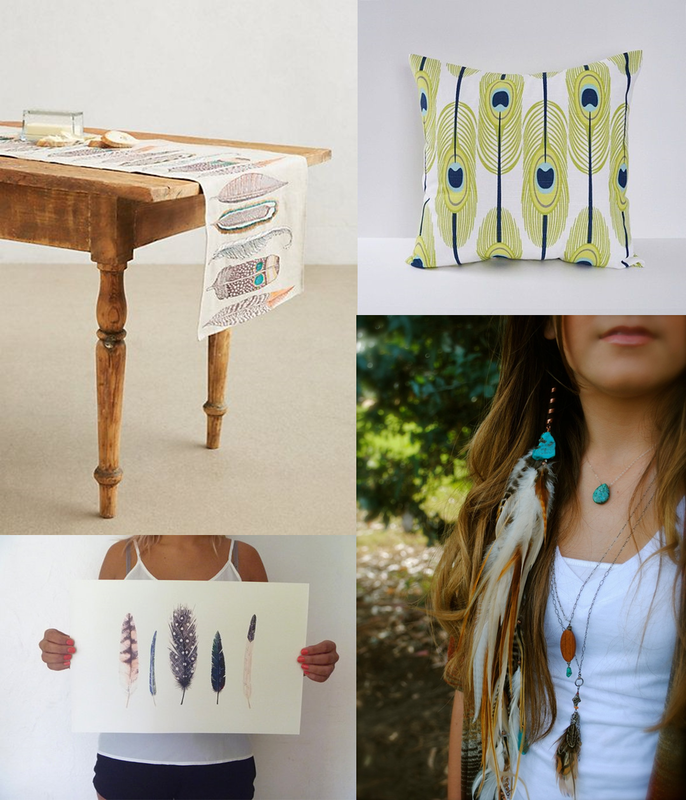 And who can talk about feathers and not mention Another Feather‘s amazing studio space?! Here’s some goodies I found. In 5th-6th grade, “bibs” were my jam!! I kinda do think the ones with shorts are (somewhat) cute. Jelly sandals were pretty much a little girls dream. They came in all colors of the rainbow, and if you were lucky, they were sparkly too. Today’s adult jellies are more neutral, and elegantly embellished. Around my middle school era, (mid-late 90’s) wide leg pants were the bees knees. Does anyone else out there remember the short-lived JCNO jeans trend?! Soon the wide leg was replaced with flares, but I’m seeing more and more of them now. Hey Taylor’s doing it, so it must be legit. (You can see her whole collection here.) And yes, those pair in the middle are from Kate Spade! I just wish that they had as many fun patterns and colors in ’92 for me to dive into. So what’s next?? The scrunchy??! How many of these 4 would you consider revisiting? Do you think they are fads, or back again for a while?